The Machu Picchu Station, located in Machu Picchu Town formerly known as Aguas Calientes due to its hot springs, is surrounded by a natural landscape of majestic valleys, mountains and various craft stalls where local craftsmen offer their best works to visitors before they depart to their adventure in the Citadel of Machu Picchu. How to get to Machu Picchu Station? 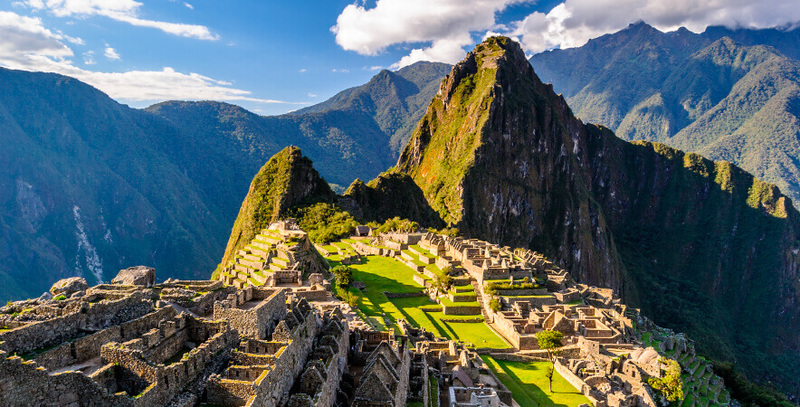 Machu Picchu Town is located in the Province of Urubamba, approximately at 2.040 m.a.s.l., and it is the place where Machu Picchu Station, the last train stop before Peru’s world wonder, is located. Reaching the Inca Citadel will take about 25 minutes from the bus stop. In order to board this transportation, you will need to walk 10 to 15 minutes from Machu Picchu Station. To reach Machu Picchu Station, you can go by train from Poroy Station (for an estimated time of 3 hours and 30 minutes). This stop is one of the closest to the city of Cusco, as it is just about 20 minutes away from the city. Furthermore, the Poroy Station offers various train services and schedules to arrive to Machu Picchu. However, if you are in Valle Sagrado (Sacred Valley), you can depart from the Ollantaytambo Station (approximately arriving in 1 hour and 30 minutes) or from the Urubamba Station (arriving in 2 hours and 30 minutes average). 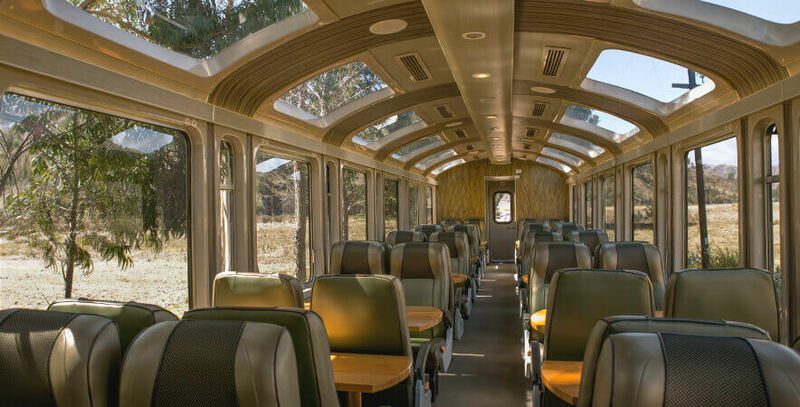 To reach this last station, we recommend buying tickets in advance on PeruRail website and enjoying this wonderful tour in Cusco by train. 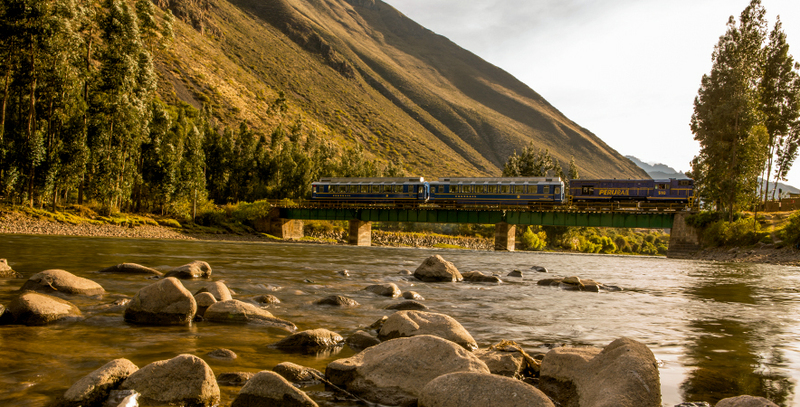 You can also buy the train tickets at ticket offices in Poroy Station, Urubamba Station or Ollantaytambo Station, and other points of sale (stores) in Lima and Cusco. If you want to come back to Cusco, you can do so from Machu Picchu Station. You can buy tickets for the tourist train not later than 30 minutes before its departure time, you can pay either by credit card, debit card or cash (Soles and US Dollars are accepted) or in advance on www.perurail.com. We recommend buying round trip tickets to avoid queues or any difficulties. During an approximately half an hour walk from Machu Picchu Station, you can enjoy the hot springs in town, which has about 3500 inhabitants. Many tourists pass through the town because they are going to the millenary Citadel of Machu Picchu by bus or trekking; it might take about 25 minutes by bus while approximately 2 hours by trekking depending on bus or walk pace. You can visit natural and cultural attractions in Machu Picchu Town such as Jardines de Mandor (Garden of Mandor), hot springs, the craft market and Museo de sitio Manuel Chávez Ballón (Site Museum Manuel Chávez Ballón). Finally, to complete this tour, we recommend staying an extra day in Machu Picchu Town so you can fully enjoy this city. For all these reasons, we invite you to enjoy this wonderful destination before return trip to Cusco City by train.